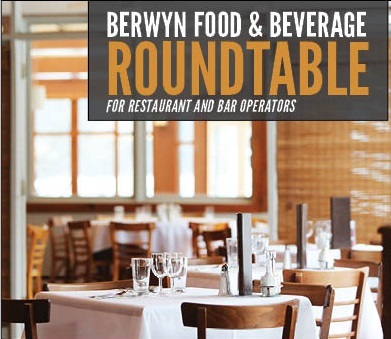 The Berwyn Development Corporation invites Restaurant and Bar operators to a panel discussion led by industry experts that will touch on the timely topics below. Mayor Robert J. Lovero and BDC Executive Director David Hulseberg will be present to receive feedback and comments from the business members present. What’s the return on the use of Food Delivery services like UberEats and Door Dash? How often should you update your menu? Does the "If you build it, they will come" concept still hold true today for the Food and Beverage Industry? How do you market through social media? Customer Service within the food industry. Early bird registration by 11pm on Aug 28th is $5 for BDC members/$10 for non-members. After this date and at the door, $10 for BDC members/$15 for non-members. NOTE: Early bird discount applied at checkout.